Going abroad alone and not speaking the language is daunting enough especially if you are visiting India. If you are traveling abroad for first time it is very important to stay at a place where you feel safe, you know the people so that they can help you out being Locals. 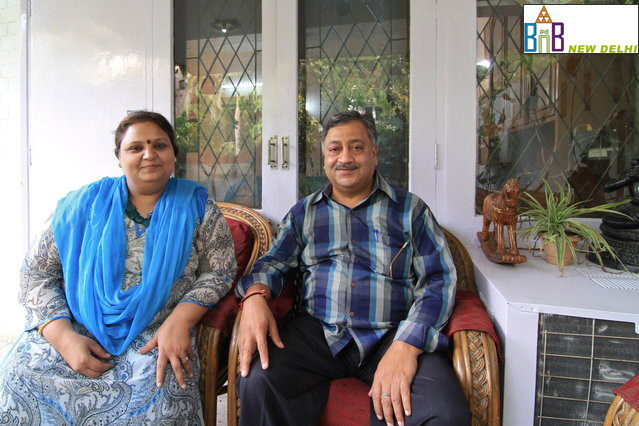 Let me introduce us as your Host Ajay and Purnima Bansal. We invite you to experience Indian hospitality with difference. We have opened our BnB to welcome all travelers coming for Vacation, Business or any Leisure Activity. We also welcome students, Interns, Volunteers coming for long stays in Delhi. We can speak both English and Hindi Fluently. I am a Lawyer but currently helping my wife in her Garment exports business. My wife is a fashion designer. We have traveled almost many countries including Germany, Denmark, Australia, US, Scotland, etc. We also stayed many times in different B&B abroad and know how good it feels staying with new friends at a new place. Purnima also runs her online Custom Clothing store with name of Runway Fashion offering western clothing. My Son is into Garment exports with Purnima and daughter is currently studying. There is no better way to explore the magic of real India than staying with an Indian Family. 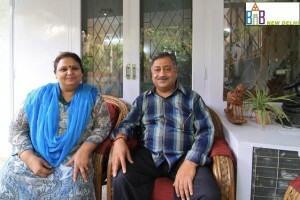 At Bed and Breakfast in New Delhi India, when you stay with us you become part of the family. Sharing meals, breakfast, cracking jokes, spend hours just sitting and interacting with the family members and much more. Learn about local customs, popular food, cultural differences, arranged marriages in India, etc. For you we have free facility of Wifi Internet, safe drinking water. A desktop with Printer & Scanner. Do write us a mail if you have any question before coming to India. Hoping to welcome you as our extended family in coming days.